I want to change quite a few things in my life and I believe I can start with my room. It is a bit chaotic in the sense that it doesn’t follow any particular style. For this reason, I am starting to redecorate it with little bits and pieces I like. One of the things that I needed was a lamp for my desk. 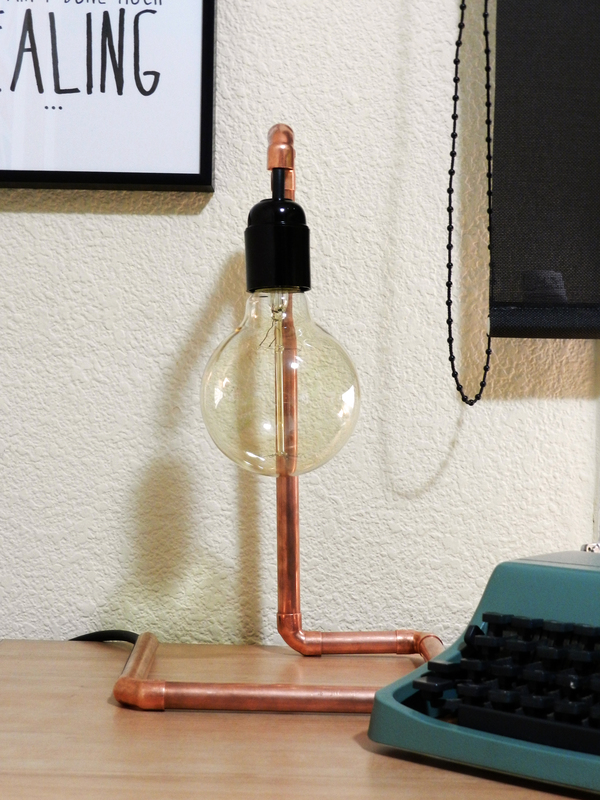 I knew I wanted a copper lamp, but they are usually a bit expensive. 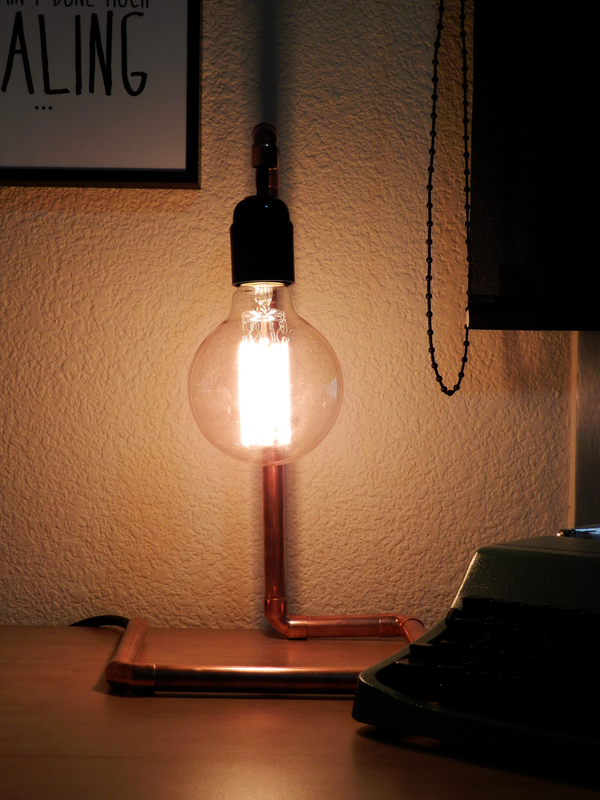 On Pinterest I found some great DIY copper lamps, so I decided to make one myself, and here’s the result. 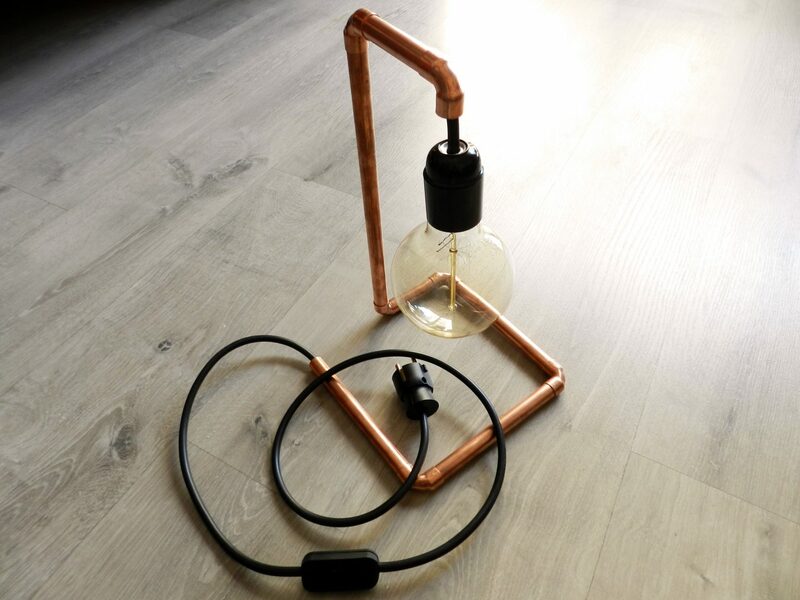 The first thing you need to do is cutting your copper pipe into 6 pieces – 1 x 30cm, 3 x 16cm, 1 x 8cm and 1 x 7cm. To cut the pipe you can use a saw, although I recommend you using a pipe cutter as it will be much easier. 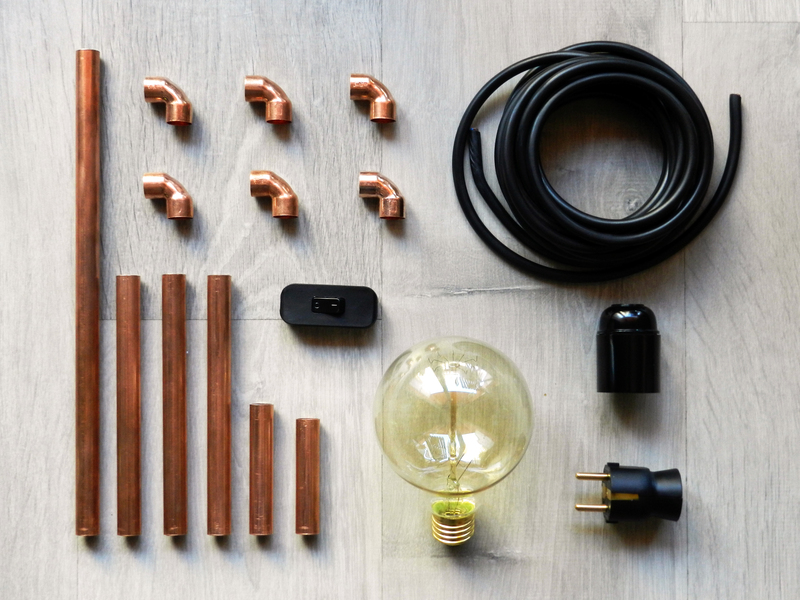 Then you need to assemble these pipes using the copper elbows. I recommend you starting with the bottom part, in which you need to use the pipes measuring 16cm and the one which measures 7cm. Afterwards you can move on to the top. If you want to, you can use some glue so that they do not move. Now you must thread the cable through the structure. This can be a little bit difficult. In fact, I think it is better to thread the cable through the pipe whilst building the whole structure. Once you have finished this, it is time to connect the bulb holder, the plug and the switch. It shouldn’t be very difficult, but you must make sure you do it right. Otherwise, it can be dangerous, so stay safe. Afterwards, all you need to do is inserting the bulb into the bulb holder and you will have finished it. It is a quite easy DIY and I think it is very cool. I must admit that I am a huge fan of copper, so I am obsessed with my new lamp. Another reason to be obsessed with it is the bulb. 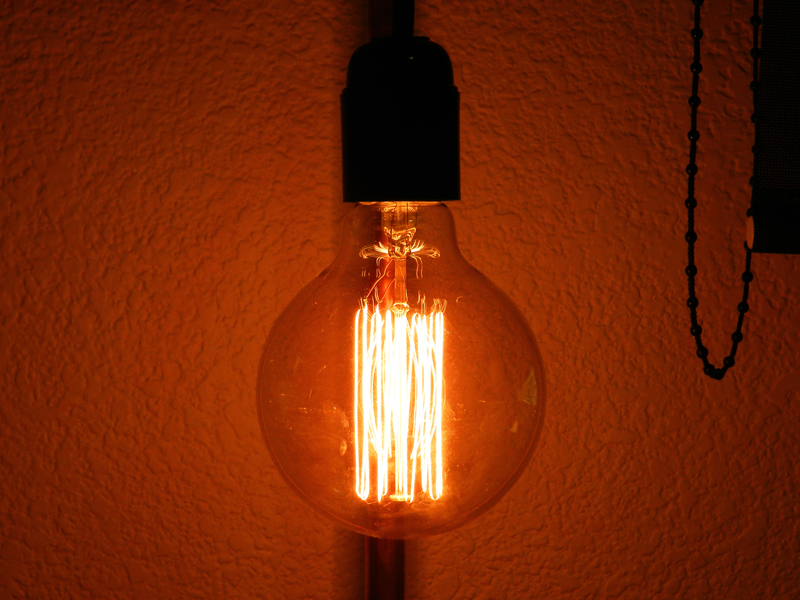 I have loved this kind of bulbs since I first saw them on the Internet, and I think they are the best ones for this type of lamps. Also, as I made it myself, it adds some value and I feel quite proud to be honest! I hope you liked this DIY project. Let me know if you would like me to do some more. Also, tweet me some photos if you make this lamp or a similar one. I always love to see how creating people can be. this is amazing Zoel! 🙂 really cool idea! Omg this is so nice 😱 I love it soooooo much! Can you be my interior designer please???? Looks amazing!! Loving the copper trend.